This is in-progress and is not yet complete. Information will be the entire, detailed path to travel from project start to completion. Monitor this Bookstore in the future for possible release date. This e-book is presently under construction. HOME ARCHITECTS ® is writing it. It will likely be novel-length (300 pages +/-) when completed in the next couple of years or so. When it becomes available, we will notify people on our website. Unfortunately, because it is not yet complete, it cannot be ordered yet. 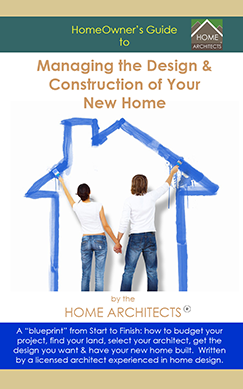 Please see HOME ARCHITECTS ® other listing in their online BOOKSTORE for other titles that are presently available. We respect your privacy and will never sell or share your information with anyone at any time.